Wednesday was another day of above average volume selling for the current rally run. 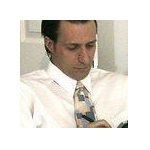 The Dow Jones shed -0.5% while the S&P 500 dropped -0.7% and the Nasdaq slipped -0.9%. The European Central Bank will announce its latest policy decision on Thursday, and bank chief Mario Draghi will hold a press conference at 8:30 a.m. ET. Kroger (KR), Barnes & Noble (BKS) and H & R Block (HRB) will report before the opening bell. Costco (COST) and El Pollo Loco (LOCO) will follow after the close. 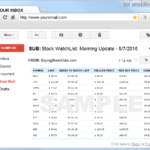 I ran my routine stock screens and added 2 new stocks to our watch lists. 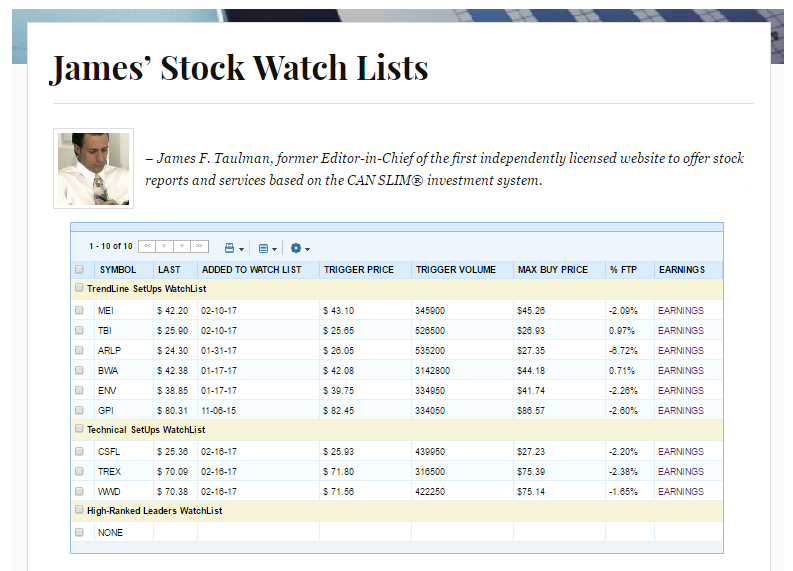 We now have 19 stocks on our watch lists. – see here.